Does anyone remember loading software from paper tape? This is surely a throw-back to the early days of personal computers! Back when DYNACOMP first started business (early 1978), this was one of the few media used to distribute software. 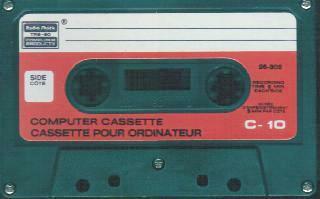 The first PCs used paper tape and Data cassette recorder the same kind that you listen to music with, using a data cassette for storage was very slow. Removable floppy disks as storage devices did not become popular before 1978 when Apple introduced the disk II. The term "floppy" accurately fit the earliest 8-inch PC diskettes and the 5.25-inch diskettes that succeeded them. The inner disk that holds the data usually is made of mylar and coated with a magnetic oxide, and the outer, plastic cover, bends easily. 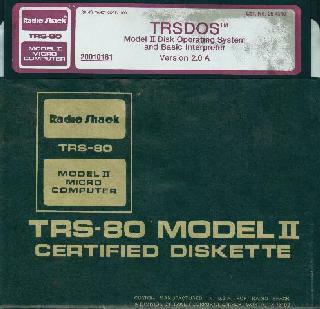 The inner disk of today's smaller, 3.5-inch floppies are similarly constructed, but they are housed in a rigid plastic case, which is much more durable than the flexible covering on the larger diskettes. The mid-1800's, punch cards are used to provide input to early calculators and other machines. 1940 is the decade when vacuum tubes were used for storage. 1950 finally, tape drives started to replace punch cards. Only a couple of years later, magnetic drums appeared on the scene. 1956, the first hard drive the IBM 305 RAMAC is the first magnetic hard disk for data storage, and the RAMAC (Random Access Method of Accounting and Control) technology soon becomes the industry standard. It required 50 24-inch disks to store five megabytes (million bytes, abbreviated MB) of data and cost roughly $35,000 a year to lease - or $7,000 per megabyte per year. For years, hard disk drives were confined to mainframe and minicomputer installations. Vast "disk farms" of giant 14- and 8-inch drives costing tens of thousands of dollars each whirred away in the air conditioned isolation of corporate data centers. 1962 - JUN. Teletype ships its Model 33 keyboard and punched-tape terminal, used for input and output on many early microcomputers. 1967 - IBM builds the first floppy disk. 1971 - IBM introduces the "memory disk", or "floppy disk", an 8-inch floppy plastic disk coated with iron oxide. 1973 - IBM introduces the IBM 3340 hard disk unit, known as the Winchester, IBM's internal development code name. The recording head rides on a layer of air 18 millionths of an inch thick. 1976 - AUG. iCOM advertises their "Frugal Floppy" in BYTE magazine, an 8-inch floppy drive, selling for US$1200. 1976 - AUG. Shugart announces its 5.25 inch "minifloppy" disk drive for US$390. 1977 - DEC. At an executive board meeting at Apple Computer, president Mike Markkula lists the floppy disk drive as the company's top goal. 1978 - JUN. Apple Computer introduces the Disk II, a 5.25 inch floppy disk drive linked to the Apple II by cable. Price: US$495, including controller card. The 1980's The introduction of the first small hard disk drives. The first 5.25-inch hard disk drives packed 5 to 10 MB of storage - the equivalent of 2,500 to 5,000 pages of double-spaced typed information - into a device the size of a small shoe box. At the time, a storage capacity of 10 MB was considered too large for a so-called "personal" computer. 1980 - Sony Electronics introduces the 3.5 inch floppy disk drive, double-sided, double-density, holding up to 875KB unformatted. 1980 - JUN. Seagate Technologies announces the first Winchester 5.25-inch hard disk drive. 1980 - JUN. Shugart begins selling Winchester hard-disk drives. 1982 - JUN. Sony Electronics demonstrates its 3.5 inch microfloppy disk system. 1982 - NOV. Drivetec announces the Drivetec 320 Superminifloppy, offering 3.33MB unformatted capacity on a 5.25-inch drive. 1982 - DEC. Tabor demonstrates a 3.25-inch floppy disk drive, the Model TC500 Drivette. Unformatted capacity is up to 500KB on a single side. 1982 - DEC. Amdek releases the Amdisk-3 Micro-Floppy-disk Cartridge system. It houses two 3-inch floppy drives designed by Hitachi/Matsushita/Maxell. Price is US$800, without a controller card. 1982 - At the West Coast Computer Faire, Davong Systems introduces its 5MB Winchester Disk Drive for the IBM PC, for US$2000. 1983 - MAY. Sony Electronics announces the 3.5 inch floppy disk and drive, double-sided, double-density, holding up to 1MB. 1983 With the introduction of the IBM PC/XT hard disk drives also became a standard component of most personal computers. The descriptor "hard" is used because the inner disks that hold data in a hard drive are made of a rigid aluminum alloy. These disks, called platters, are coated with a much improved magnetic material and last much longer than a plastic, floppy diskette. The longer life of a hard drive is also a function of the disk drive's read/write head: in a hard disk drive, the heads do not contact the storage media, whereas in a floppy drive, the read/write head does contact the media, causing wear. 1983 - Philips and Sony develop the CD-ROM, as an extension of audio CD technology. 1984 - MAY - Apple Computer introduces the DuoDisk dual 5.25-inch floppy disk drive unit for the Apple II line. By the mid-1980's, 5.25-inch form factor hard drives had shrunk considerably in terms of height. A standard hard drive measured about three inches high and weighed only a few pounds, while lower capacity "half-height" hard drives measured only 1.6 inches high. 1985 - JUN. Apple Computer introduces the UniDisk 5.25 single 5.25-inch floppy disk drive, with the ability to daisy-chain additional drives through it. By 1987, 3.5-inch form factor hard drives began to appear. These compact units weigh as little as a pound and are about the size of a paperback book. They were first integrated into desktop computers and later incorporated into the first truly portable computers - laptops weighing under 12 pounds. The 3.5-inch form factor hard drives quickly became the standard for desktop and portable systems requiring less than 500 MB capacity. Height also kept shrinking with the introduction of one-inch high, 'low-profile' drives. 1987 - SEP. Microsoft ships Microsoft Bookshelf, its first CD-ROM application. 1990 - JAN. Commodore gives a sneak preview of a proposed "interactive graphics player", based on a variant of the Amiga 500, with 1MB of RAM. The machine includes an integrated CD-ROM drive, but no keyboard. 1990 - NOV. The Multimedia PC Marketing Council sets the minimum configuration required of a PC to run MPC-class software: 10-MHz 286 processor, 2MB RAM, 30MB hard drive, 16-color VGA, mouse, 8-bit audio card, 150KBps CD-ROM drive. 1991 - JAN. Commodore releases the CDTV (Commodore Dynamic Total Vision) package. It features a CD-ROM player integrated with a 7.16-MHz 68000-based Amiga 500. List price is US$1000. 1991 - JUN. Tandy introduces its low-cost CDR-1000 CD-ROM drive for PCs. At US$400, including drive and controller card, it is about half the price of other drives. 1991 - OCT. Insite Technology begins shipping its 21 MB 3.5-inch floppy disk drive to system vendors. The drive uses "floptical" disks, using optical technology to store data. By 1992, a number of 1.8-inch form factor hard drives appeared, weighing only a few ounces and delivering capacities up to 40 MB. Even a 1.3-inch hard drive, about the size of a matchbox, was introduced. Of course, smaller form factors in and of themselves are not necessarily better than larger ones. Hard disk drives with form factors of 2.5 inches and less currently are required only by computer applications where light weight and compactness are key criteria. Where capacity and cost-per-megabyte are the leading criteria, larger form factor hard drives are still the preferred choice. For this reason, 3.5-inch hard drives will continue to dominate for the foreseeable future in desktop PCs and workstations, while 2.5-inch hard drives will continue to dominate in portable computers. 1993 - OCT. NEC Technologies unveils the first triple-speed (450KBps) CD-ROM drive. 1994 - JAN. NEC Technologies ships its quad-speed CD-ROM, priced at US$1000. 1994 - DEC. Iomega Corp. introduces its Zip drive and Zip disks, floppy disk sized removable storage in sizes of 25MB or 100MB. 1997 - NOV. IBM announced the world's highest capacity desktop PC hard disk drive with new breakthrough technology called Giant Magnetoresistive (GMR) heads. Pioneered by scientists at IBM Research, GMR heads will be used in IBM's Deskstar 16GP, a 16.8-gigabyte drive. This brings down the cost of storage to .25 cents per megabyte. 1998 - NOV. IBM announced a 25GB hard drive. That first hard disk drive in 1956 had a capacity of 5 megabytes. IBM's Deskstar 25GP 25-gigabyte (GB) drive has 5,000 times the capacity of that first drive. It holds either the double-spaced typed text on a stack of paper more than 4,000 feet high, more than six full-length feature films or 20,000 digital images. 1999 - October 18, IBM raised the bar in hard drive technology with a new family of record-breaking hard drives and a new technology that protects drives against temperature variation and vibration. The 10,000 RPM Ultrastar 72ZX -- the world's highest capacity drive at 73 gigabytes (GB). 2000 - Paris, FRANCE - June 20, 2000. IBM® announced the availability of the 1Gb Microdrive, the world's smallest, lightest and largest capacity mobile hard disk increasing storage by a factor of three.